Happy Chawla Property Dealer is a professionally managed Real Estate Agent in Ludhiana, Punjab, with a track record of serving a large number of esteemed clients for many years. We hold expertise in Buying Property Services. Buying Property Services offered by us are for all kinds of Residential Property, Commercial Property, Industrial Property and Agricultural Property. Buy your dream property now with our help and make your dreams come true. We bring you some of the best deals from the market to choose from. 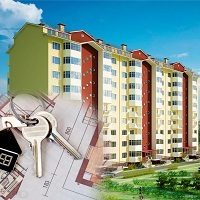 You can choose a property out of the many options as per your budget and specifications. We have properties for all kinds of budget here at Happy Chawla Property Dealer.